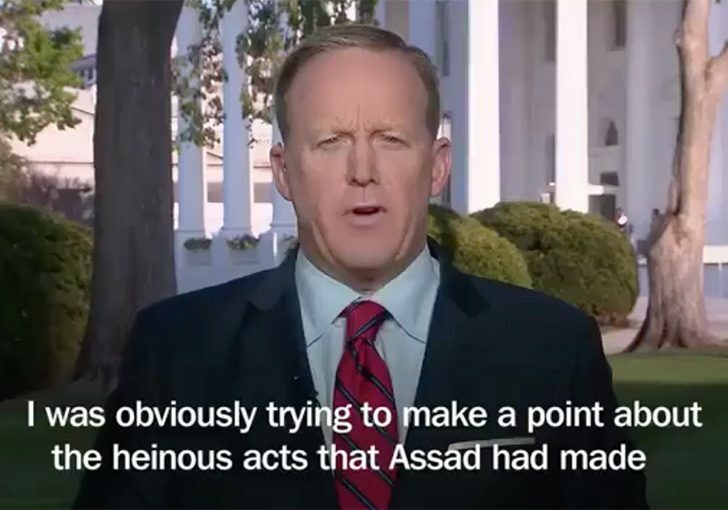 Yesterday, Press Secretary Sean Spicer came under major fire during a press conference when he seemingly made light of the Holocaust in comparison to what happened in Syria. Spicer quickly backpedaled last night, appearing on the news to issue an apology. While the initial comments were definitely offensive, at least he apologized.